I am in need of beekeepers in Oldham, Bullit, and Jefferson counties to fill out a survey about hive characteristics, health, and location. 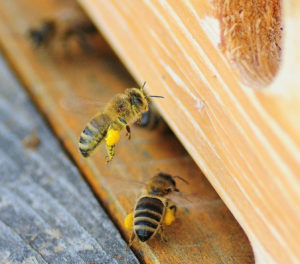 I am a U of L student working on my thesis for a Masters of Sustainability, and I am researching to try to find out what best predicts hive productivity and survival. This survey is open to any beekeeper in the above counties that had hives in the summer of 2017 and takes about 10 minutes to complete. The survey is through Google Forms and the link is below. The survey does ask for the address of hives. Therefore, there is a consent letter linked below. Please read it before taking the survey. The letter explains more about the survey and what to do if you feel like your information is being mishandled or is insecure. This survey is also part of a raffle drawing for a $25.00 gift card to Kelley Beekeeping Supply Co. To participate you just need to take the survey and leave a way to contact you on the last question so that I can contact you if you win.